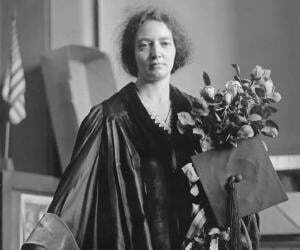 Irene Joliot-Curie was a Nobel Laureate who along with her husband, Frederic Joliot, discovered artificial radioactivity. Check out this biography to know about her childhood, life, achievements, works & timeline. Irene Joliot-Curie was a French scientist who along with her husband, Frédéric Joliot, was jointly awarded the Nobel Prize in Chemistry in 1935 “in recognition of their synthesis of new radioactive elements.” She was born as Irene Curie to scientist parents, Pierre and Marie Curie. 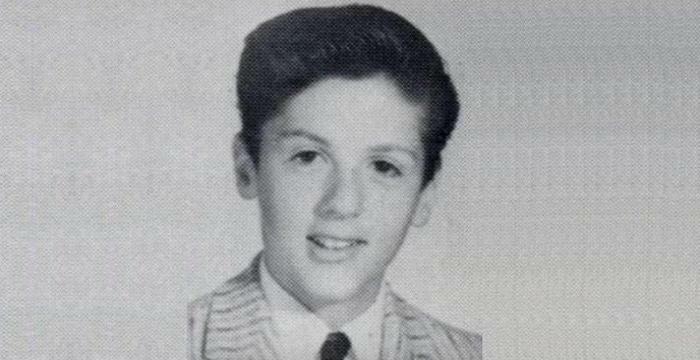 A child prodigy, her parents discovered her knack for mathematical abilities and skills when Irene turned ten and started her formal education. Irene’s abilities earned her a seat at the Faculty of Science at the Sorbonne. Though World War I disrupted her studies, she did not squander her time and instead worked as a nurse radiographer along with her mother. Following her doctorate degree and marriage to fellow researcher Frederic Joliot, Irene Joliot-Curie immersed herself completely into scientific research. In 1934, the magnum opus of her career came as she discovered artificial radioactivity along with her husband. The two initiated the start of a new legacy in scientific studies. The artificially created radioactive isotopes, though short-lived, were applied in medicine. They were cheap and could be quickly created in plentiful numbers. For their discovery of artificial radioactivity, the Joliot-Curie couple was awarded a Nobel Prize in Chemistry. Following this, she continued her research on the action of neutrons on the heavy elements. Scientific career apart, Joliot-Curie was active politically. She worked for improving the social standard of women and also took up administrative position at several governmental institutes. Irene Joliot Curie was born as Irene Curie to Pierre and Marie Curie on September 12, 1897, in Paris, France. Academically brilliant, young Curie began her formal education at the age of 10. Within a year, her mathematical skills brought her to prominence. Wanting to put little Curie in a challenging environment so as to make the best use of her academic capabilities, her parents joined ‘The Cooperative’ a private gathering that included some of the most distinguished names in academics in France. For two years, she studied at the Cooperative, getting trained by some of the most distinguished French scholars. Interestingly, the curriculum of Cooperative did not limit itself to scientific studies alone. In fact, children were taught diverse subjects, right from language to sculpture and even self-expression and play. Following her training at the Cooperative, Curie enrolled at an orthodox school environment at Collège Sévigné in central Paris. She studied therein for two years, from 1912 to 1914 before enrolling at the Faculty of Science at Sorbonne. While she was studying for her bachelor’s degree at the Faculty of Science, World War I commenced. Her studies were stalled by the war. During the war, she collaborated with her mother, Marie Curie, who was running 20 mobile field hospitals. Both mother and daughter worked as nurse radiographers, working on the then newly conceived X-Ray equipment. Post War, Irene returned to Paris. She studied at her parent’s institute, Radium Institute. Alongside, she also served as her mother’s assistant at the institute. 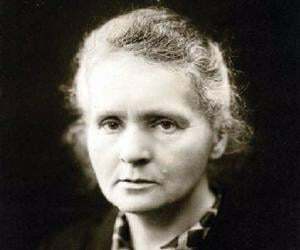 In 1925, she completed her doctoral thesis on the alpha rays of polonium, an element found by her parents. Year 1925 was a satisfying year for Irene Curie, professionally and personally. While she became Doctor of Science that year, at the same time she met her future husband, Frederic Joliot, who interned with her mother at the Radium Institute. After her wedding with fellow researcher Frederic Joliot, the duo adopted the surname Joliot-Curie. Since 1928, Joliot-Curie and her husband Frederic combined their research efforts on the study of atomic nuclei. During the initial years of research, though the husband-wife duo identified positron and neutron, they failed to interpret the same into their results. 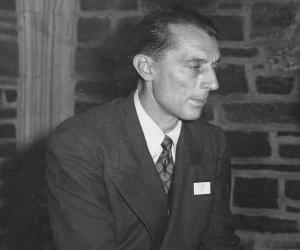 Later on Carl David Anderson and James Chadwick were credited with the discovery of positron and neutron respectively. In 1932, she was appointed lecturer at the Faculty of Science. 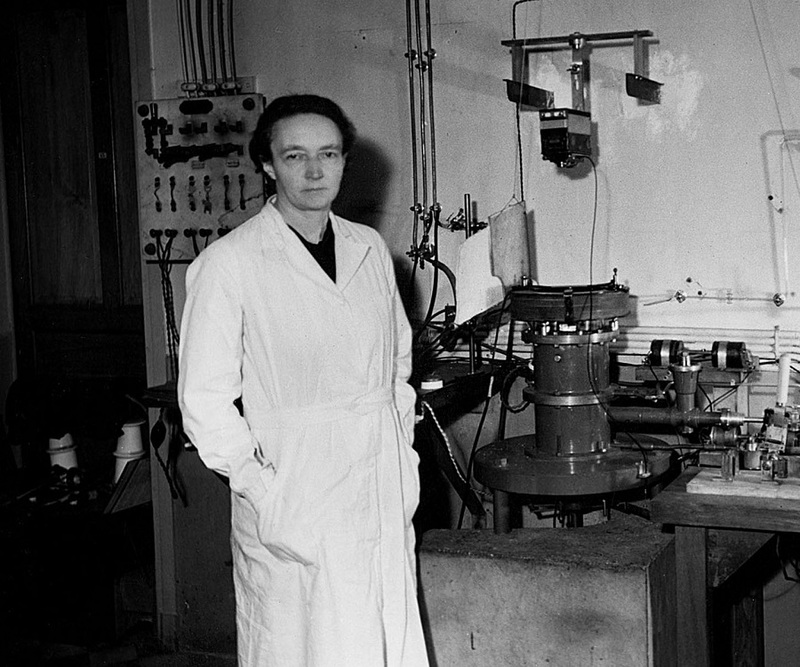 In 1934, Joliot-Curie along with her husband Frederic struck gold with the discovery of artificial radioactivity. They were primarily building on Pierre and Marie Curie’s work, when they finally created isolated naturally occurring radioactive elements. The discovery was a milestone in science. Joliot-Curies bombarded boron, aluminium, and magnesium with alpha particles. On bombardment, they obtained radioactive isotopes of elements not ordinarily radioactive, namely, 13 of nitrogen, 30 of phosphorus, 27 of silicon and 28 of aluminium. Since these elements are not found naturally, they would decompose easily emitting positive and negative electrons. The discovery of artificial radioactivity was revolutionary in the field of science. Both Joliot-Curie and her husband sealed their place in scientific history with their finding as creation of artificial radioactive materials assisted in filling up for the huge demand for radioactive element that were then used in medicines. Their discovery allowed the elements to be created quickly, plentifully and at very low cost. 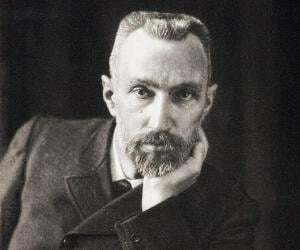 Following the discovery of artificial radioactivity and the Nobel Prize in Chemistry that the research work brought with it, Joliot-Curie gained professorship at the Faculty of Science in Paris 1937. Following year, her research on the action of neutrons on the heavy elements became the stepping stone for the discovery of uranium fission. In 1942, she became the Commissioner for Atomic Energy. Four years later, she was appointed as the Director of the Radium Institute. 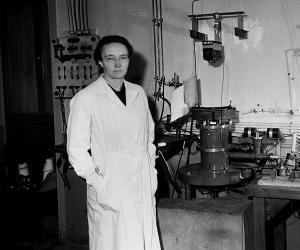 In 1948, she oversaw the creation and construction of the first French atomic pile. Joliot-Curie was instrumental in inauguration of the large centre for nuclear physics at Orsay; the construction was carried on by her husband Frederic Joliot-Curie, after her death. This centre was equipped with a synchro-cyclotron of 160 MeV. Other than scientific studies, research and academics, Joliot-Curie was active politically. She joined the Socialist Party in 1934, the Comité de vigilance des intellectuels antifascists in 1935, and supported the Republicans in the Spanish Civil War in 1936. In 1936, she was appointed Undersecretary of State for Scientific Research by the French government. In the new position, she helped in the establishment of the Centre National de la Recherche Scientifique. In her last years, she actively promoted women education and was concerned with the social and intellectual advancement of women. She served on the National Committee of the Union of French Women and the World Peace Council. Her most significant contribution to science came with the discovery of artificial radioactivity, which was a milestone in the field of science. The discovery allowed for the creation of short-lived, but easy to create radioactive isotopes from elements such as aluminium, boron, sulphur and phosphorous. These artificially created radioactive isotopes were used in medicine. Also, the production of these unstable atomic nuclei afforded further means for the observation of changes in the atom as these nuclei broke down. In 1940, she was a fellow recipient of the Barnard College Gold Medal for Meritorious Service to Science, along with her husband Frederic Joliot-Curie. Throughout her life, Joliot-Curie served as a member of several foreign academies and scientific societies. 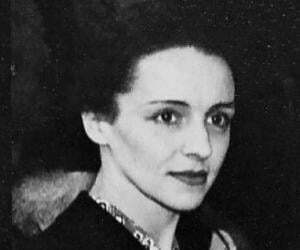 Irene Curie met her future husband, Frederic Joliot while working as an assistant to her mother at Radium Institute. He shared her interest in science, sports, humanism and arts. Irene married Frederic in 1926. The duo adopted a hyphenated surname after marriage and were known as Joliot-Curies’. The couple was blessed with two children, a daughter Helena who became a noted physicist and a son Pierre who was a biologist. During World War II, Joliot-Curie contracted tuberculosis. She was forced to spend several years convalescing in Switzerland. Though she made frequent trips back to France, they were dangerous as she served several detentions. She breathed her last on March 17, 1956, at the age of 58, in Paris, France.